Kingfish, or Surmai, as it popularly known as, is a delicacy in the Indian subcontinent. It’s generally prepared when fresh, this Kingfish fry recipe is wonderfully blended with spices to impart a rich flavour to the fish. Wash and dry the fish, add all ingredients except oil and corn flour. Mix it well and keep aside for 30 minutes. 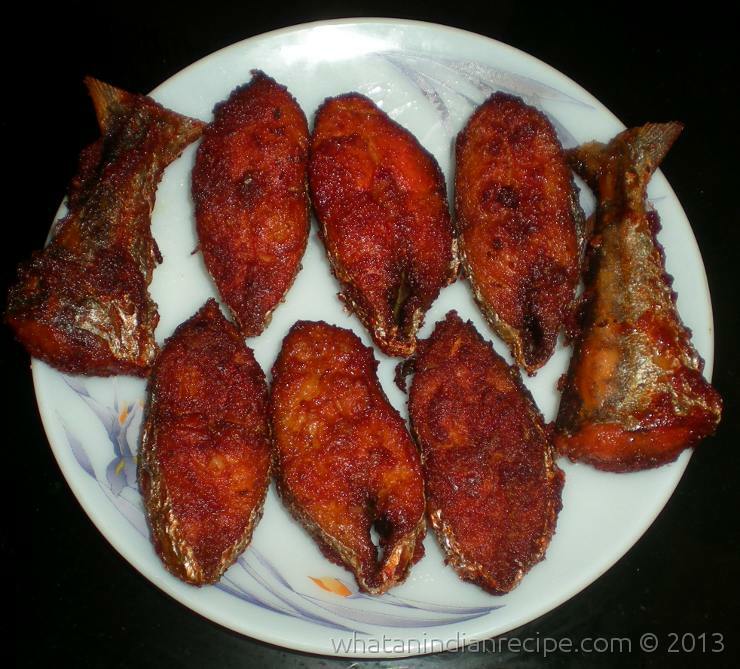 At the time of frying sprinkle corn flour over the surface of fish so that masala stays on it. Deep fry each pieces of fish at medium flame till it becomes crispy and well cooked.